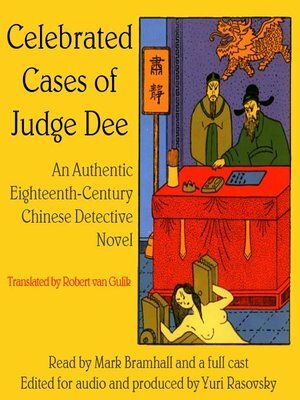 Long before Western writers had even conceived the idea of writing detective stories, the Chinese had developed a long tradition of literary works that chronicled the cases of important district magistrates. One of the most celebrated of these was Judge Dee, who lived in the seventh century a.d. This book, written anonymously in the eighteenth century, interweaves three of Judge Dee's most baffling cases: a double murder among traveling merchants, the fatal poisoning of a bride on her wedding night, and the suspicious death of a shop keeper with a beautiful wife. The crimes take him up and down the great silk routes, into ancient graveyards where he consults the spirits of the dead, and through all levels of society, leading him to some brilliant detective work. Yuri Rasovsky (1944-2012) was the leading writer, producer, and director of audio drama in the United States. Also a distinguished actor, narrator, and critic, his numerous honors include two Peabody Awards, eight Audie Awards, and a Grammy.